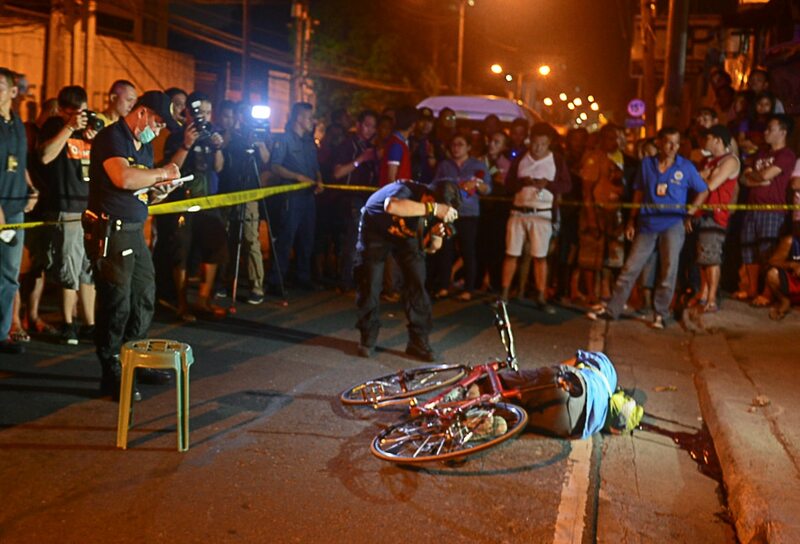 MANILA - Philippine Army (PA) chief Lt. Gen. Eduardo Año on Wednesday confirmed that the suspect in the killing of a cyclist in Quiapo, Manila is a member of the Army's reserve force. According to Año, the suspect, Von Tanto, is a reservist with a rank of private. He is assigned at the 1301st Community Defense Center, National Capital Regional Community Defense Group of the Army Reserve Command in Caloocan City. Año said he has already directed the Army Reserve Command to conduct an investigation into the involvement of Tanto in the killing. He also assured the public that the Army will cooperate in the investigation. Meanwhile, acting Army spokesman Capt. Benjamin de Peralta said Tanto will be removed from the list of Army reservists should he be proven guilty of killing cyclist Mark Vincent Garalde. He also condemned the incident, adding that they are exerting efforts to locate Tanto. According to De Peralta, Tanto cannot be tried in a military tribunal because he is not on active-duty status. He also said an Army Reserve Command personnel already went to the residence of Tanto but he was not around. De Peralta explained that they do not issue weapons to their reservists, and that the one used by Tanto was probably a personal weapon.